As women know upper hair above the lip can be a bit of a problem, although there are a number products on the market, waxing your lips is the most effective way to to remove upper lip hair . When choosing a lip wax choose a one without retinoid as this will make the skin more sensitive. You can get it done professionally if you don’t want to go at it alone. Or you can always have your best girlfriend do the peeling off for you. The choice is yours. Firstly when waxing you lip always keep your skin protected. Wash the lip area first with a creamy cleanser and then pat it dry. In order to form a protective barrier between the wax and your lovely skin you should put a light dusting powder on your upper lip. The powder will also absorb the remaining moisture in the area. Next it’s lip waxing time heat the wax up until it looks like honey. Always check before you do any type of waxing test the temperature so that it’s not to hot. Use your inner wrist to test if the wax is too hot, if its burning your arm then let cool for a while. Once the lip wax is ready, stretch your skin by rolling your upper lip gently over your teeth. Then begin spreading the wax from the center right under your nose to the corners of your mouth. 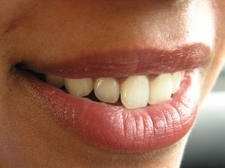 Make the ends of your mouth thicker than in the middle it will make the wax easier to move. Once the lip wax has cooled but is still pliable use one hand to hold down the paper and the other to lift the lower edge. Take a deep breath and pull, in a quick motion begin pulling the strip off using upward motion. Afterwards you can sooth your skin some kind of alcohol free toner such as Sally Hansen’s soothing after shave clothes.